Apple is launching its new tablet computer in San Francisco later today, kick-starting what is believed to be a new consumer computing market worth £600 million a year. 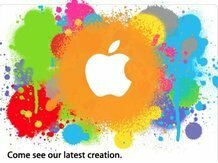 The Apple tablet will be unveiled by the company's CEO, Steve Jobs, at a press launch later this evening at 6pm GMT. We will of course bring you the full news, opinion and analysis on the new device later today. 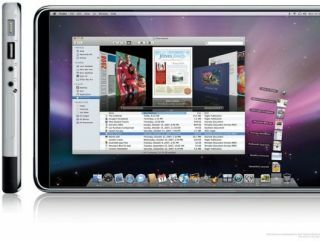 Business advisory firm Deloitte believes the market for consumer tablet computers is set to be worth at least £600 million a year worldwide, with Apple and others set to sell millions of these slate computers in the coming year. ''While it is difficult to forecast sales of devices whose specifications are unknown, some analysts estimate 12-month sales from launch of over one billion dollars. This is larger than global sales of personal navigation devices," said Paul Lee, Deloitte's director of knowledge and research. Of course, tablet computing has been around for some time, but mainly in the business market and specialist medical technology market. Back in the 1990s Apple's released its own Newton tablet style devices and in 2001 Bill Gates said: ''The Tablet takes cutting-edge PC technology and makes it available wherever you want it, which is why I'm already using a Tablet as my everyday computer.